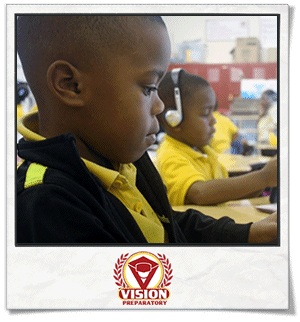 Recognizing and addressing the need for a college-preparatory elementary school in Memphis, Vision Preparatory Charter School (Vision Prep) provides a rigorous, high-quality education to address the academic needs of an underserved and underperforming student population. Our staff is committed to modeling and upholding the highest academic and behavioral expectations for all students. 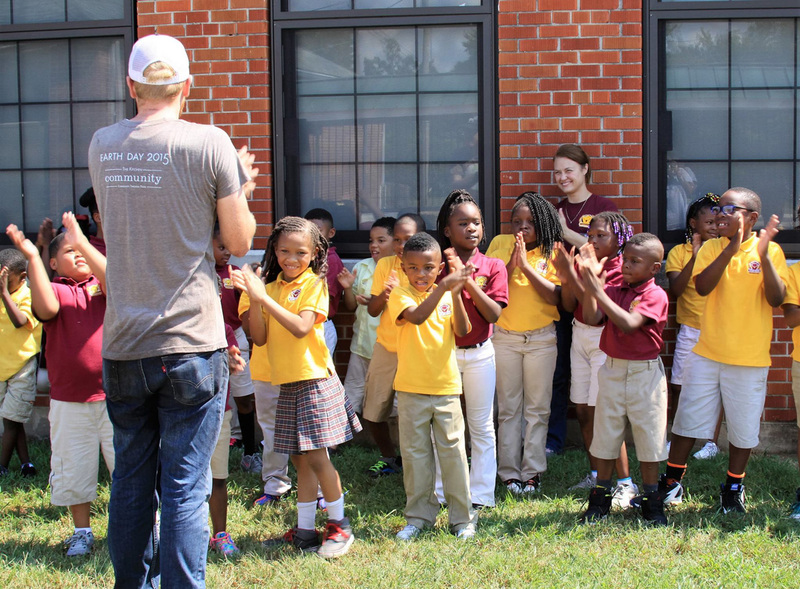 Our vision is that Vision Prep students will be equipped academically and socially to earn four-year college degrees and become community leaders in Memphis or in other communities in which they live. High-quality teachers lead the way to exceptional student results. Like Edward W. Brooke Charter School in Boston and other high-performing public schools across the country, we believe that the achievement gap is the shame of our nation – and that great teaching can close it. Our vision is shaped not only by this belief but also by what research has proven. Research tells us that the number one predictor of student achievement isn’t race. It isn’t socio-economic status. It’s teacher quality. The best device we can utilize to help low-income and minority students succeed is the same one that is most effective in helping all students achieve, regardless of their backgrounds: quality teaching – beginning in kindergarten. Because the quality of our educators is the single most important factor driving student achievement, Vision Prep will recruit and hire the highest quality applicants and develop them along the way. Research by Betty Hart and Todd Risley has shown that by age 3 children in wealthy families have heard 30 million more words than children living in poverty. In an effort to close this gap at an early age, Vision Prep offers a longer school year and operates during an extended school day. The disparity in the volume of words heard at an early age will be lessened in a Vision Prep Kindergarten where our students will benefit from the nearly 1,000 minutes per week dedicated to literacy instruction. Extended school days and school years will ensure that students succeed through lengthening their “time-on-task”. This extra time spent on literacy is critical in developing the skills, content knowledge, and ethical character necessary for success in secondary school, college and in the professional path they choose. Vision Prep scholars are not only expected to exhibit great academic achievement; they are also expected to develop strong character. Because strong character and a well-grounded sense of personal accountability is essential for students to meet the high academic demands of high school and college, we devote significant time to character education and think critically about how best to align the school culture with our core values: Focus, Integrity, Respect, Self-determination, and Teamwork (FIRST). At Vision Prep, character education is aligned with our character standards and core values, includes direct instruction in character development, and utilizes public ceremonies to celebrate student demonstration of core values.The adults within our school community (parents, teachers, school leadership, and board members) join together in assuming the collective and individual responsibility of modeling the same no-excuses philosophy and culture expected of its scholars. Before each school year begins all members of the Vision Prep learning community sign a “Contract of Mutual Responsibilities” which is based on the school’s common core values (FIRST). Successful scholars must master fundamental literacy and numeracy skills to be able to comprehend, analyze, and evaluate rigorous academic content. In preparation for more challenging academic work in upper elementary and middle school, Vision Prep will strive to ensure that all scholars are reading at or above grade level by third grade. Placing an instructional and financial emphasis on what we value most, two highly-qualified teachers will team-teach during the 990 minutes spent on literacy instruction per week and the 415 minutes spent on mathematics instruction per week. This robust time addition is equivalent to 45 school days spent entirely on literacy and mathematics instruction by the end of every school year. Assess, analyze, and intervene regularly. To ensure every scholar remains on track to reach academic goals, there must be an intense focus on the continuous monitoring of academic progress. At Vision Prep data constantly drives decisions. Along with daily and weekly assessments, in-house grade level interim assessments in Reading and Mathematics are administered every nine weeks. In alignment with Common Core and TN curriculum standards, we use tests to figure out problems, fix them, and move on. While these internal assessments provide teachers with individual scholar data used to guide instruction throughout the year, Tennessee state-mandated criterion-referenced tests are also administered at the end of each school year. Results from these tests are used as part of the academic planning process for the upcoming year. In Kindergarten through 2nd Grade, students will be administered the Terranova 3 achievement test and will receive ongoing literacy assessment using STEP (Strategic Teaching and Evaluation of Progress).